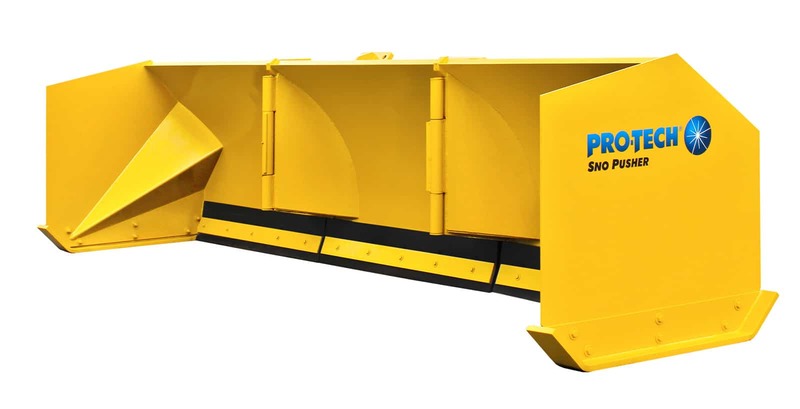 This winter snow and ice professionals across the country will receive tickets for driving their oversized loader and snow pusher down the road. 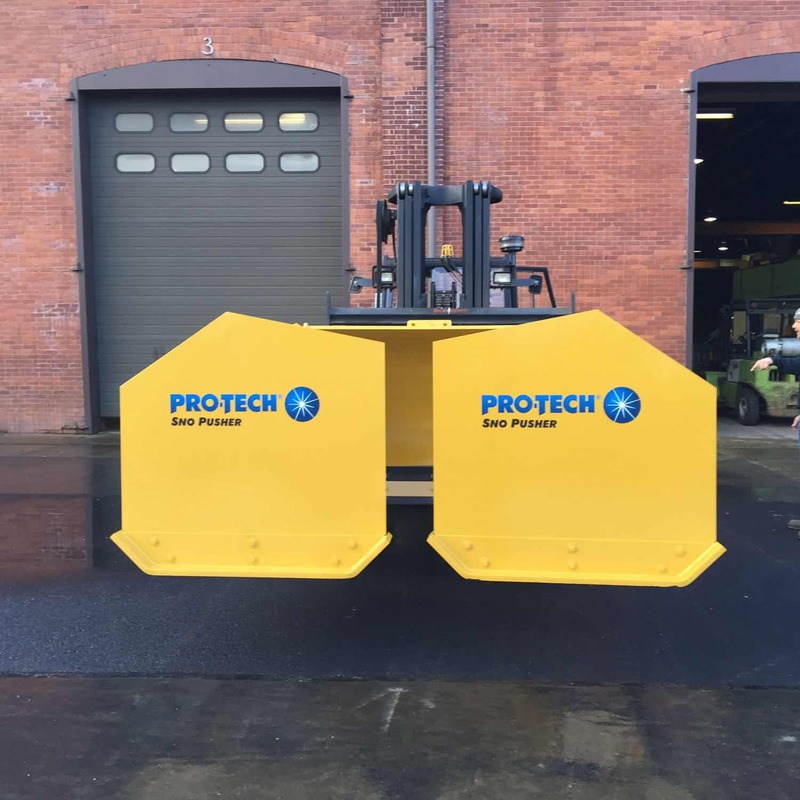 Getting a ticket is never fun and in addition to making a safer operating experience, is why Pro-Tech created a folding snow pusher. 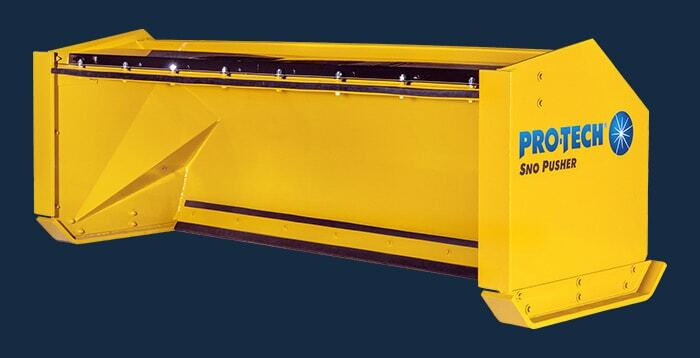 The Foldout Sno Pusher folds to 8’ 6” which is road legal in most areas of the country. 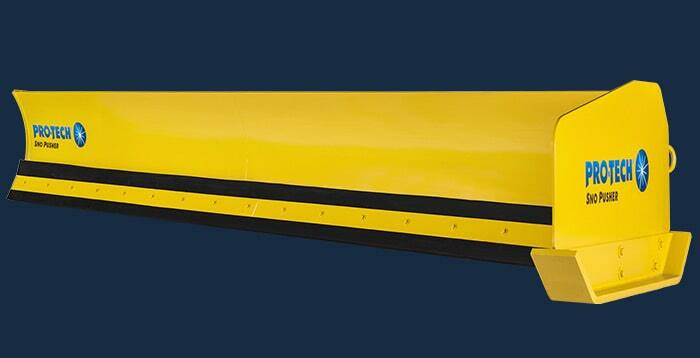 As the number of distracted drivers continue to rise, this snow pusher also lessens the risk of accidents. 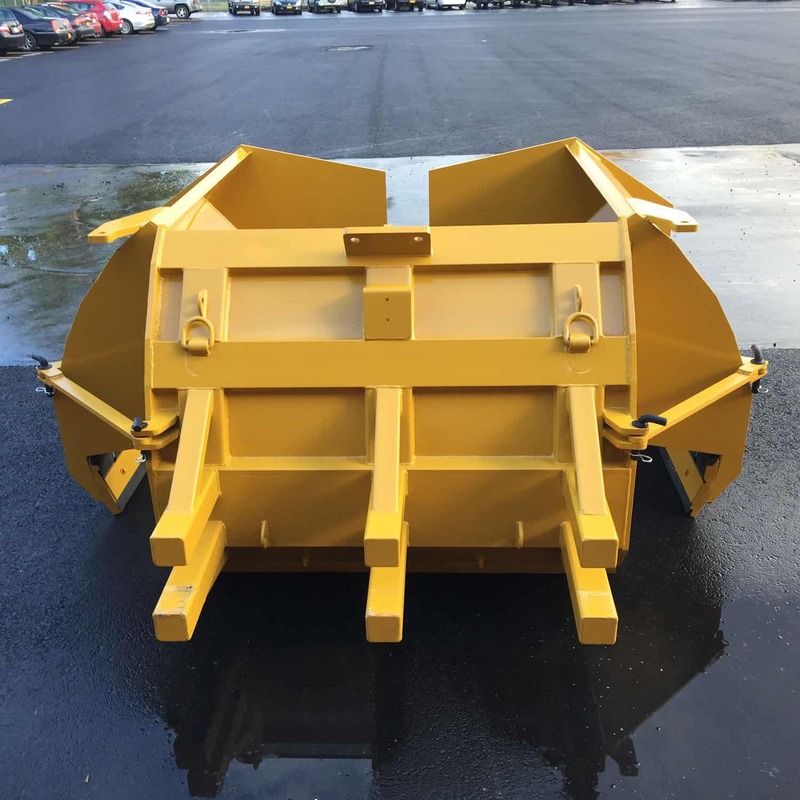 In addition to it’s on-road benefits, the Foldout Sno Pusher allows you to maneuver through difficult properties that have gates, bollards, narrow passages, and other obstacles. 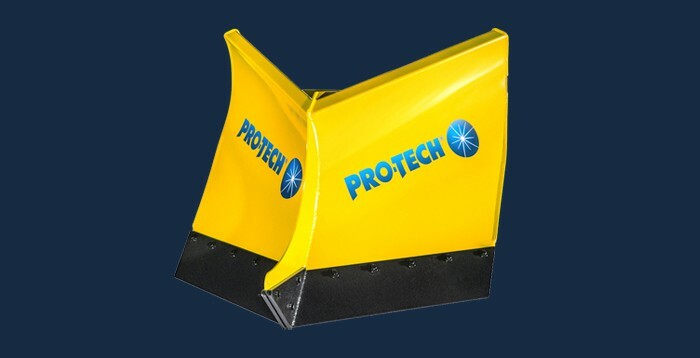 As with all rubber edge snow pushers from Pro-Tech, the Foldout features our high-quality rubber cutting edge, which can help you to clear any surface. 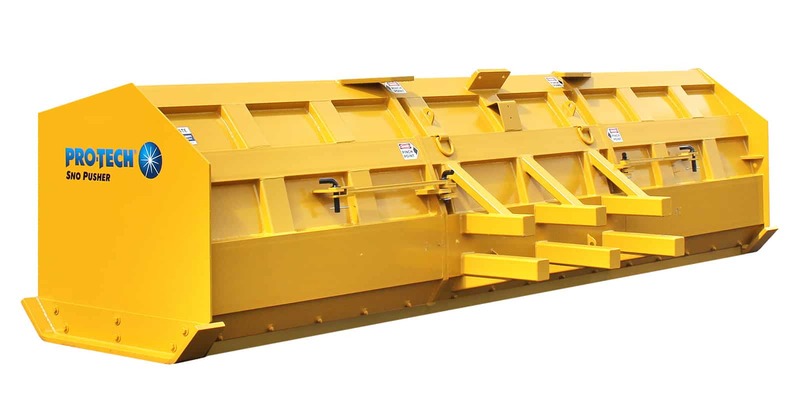 The Foldout Sno Pusher comes in sizes ranging from 14’ to 18’ for your loader and backhoe. 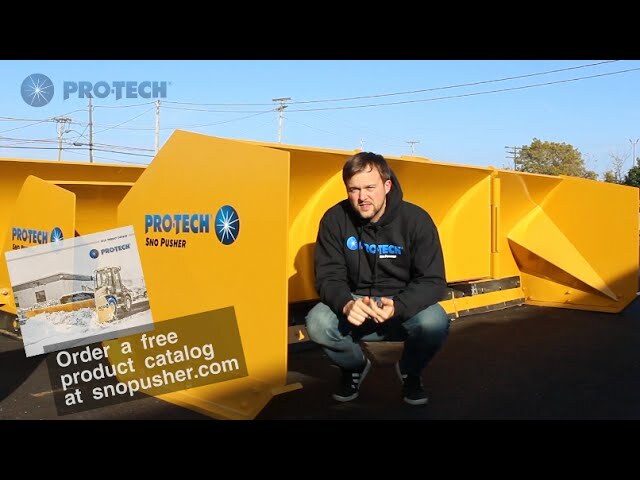 Driving a snow pusher from site to site can have its benefits. 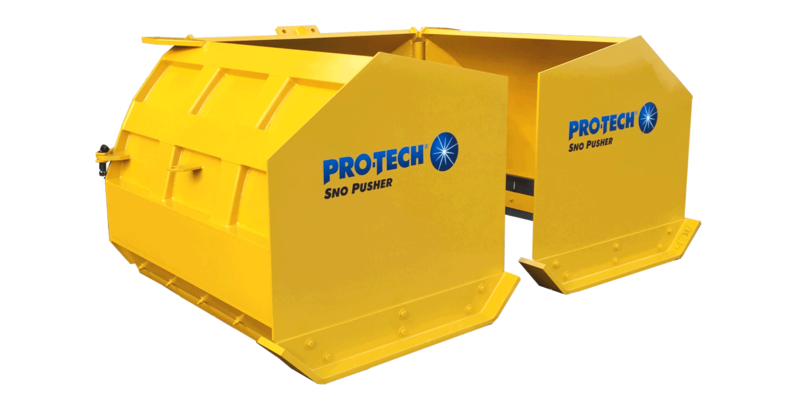 If you are clearing snow from multiple properties in an area, the Foldout Sno Pusher allows you to easily drive from site to site and eliminates the need to have machines and snow pushers on other properties. 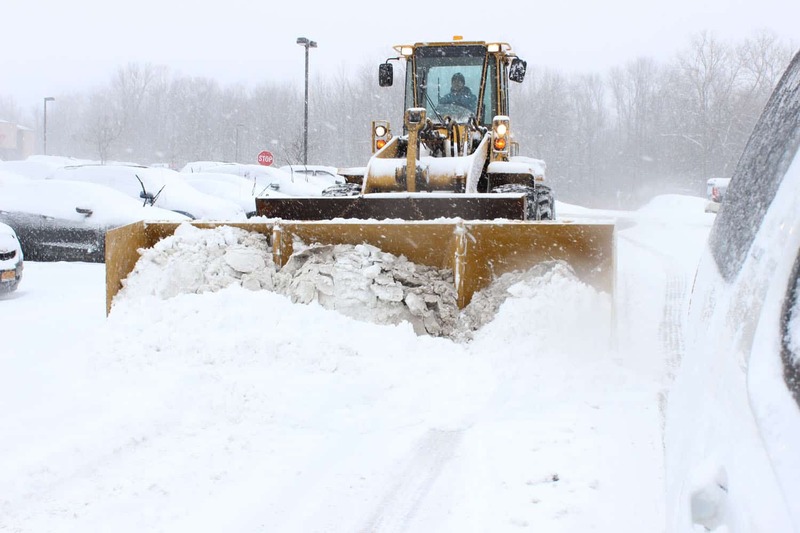 Heavy equipment operators face many challenges during a snowstorm, especially when navigating parking lots or driving from site to site. Not only do you have the snow to contend with but there is also the issue of people and cars moving around you. 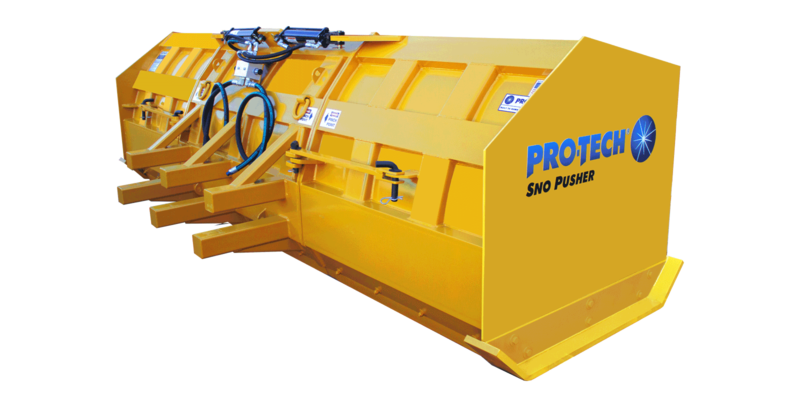 Our folding snow pusher allows you to be a more nimble operator and limit any unfortunate accidents. 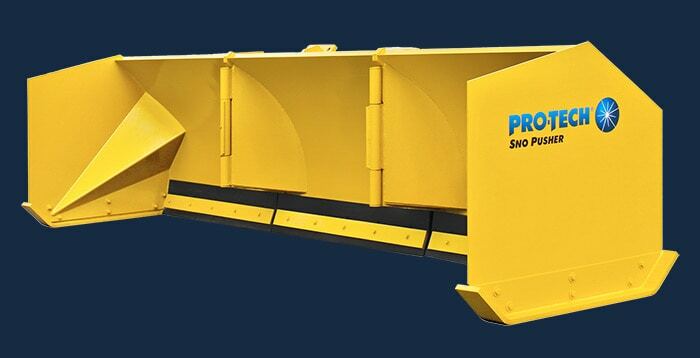 The Foldout Sno Pusher folds manually, meaning that operators leave their cab to close or open the snow pusher’s wings. 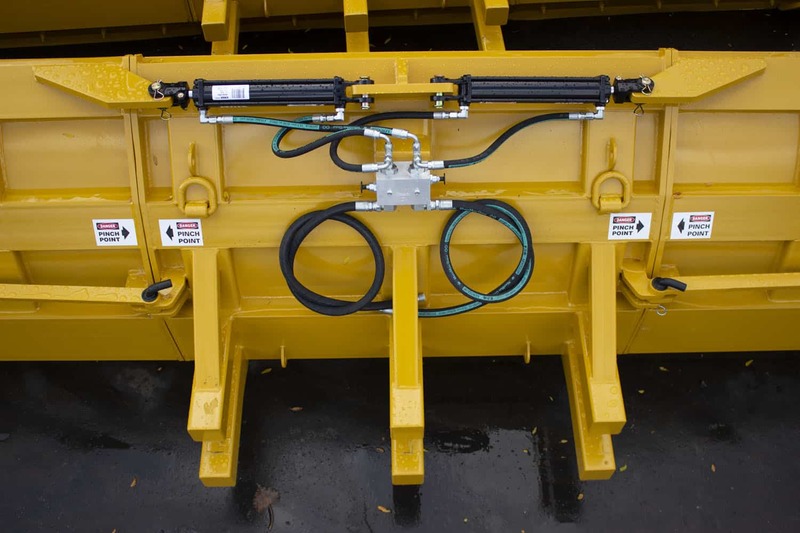 Equipping the Foldout Sno Pusher with hydraulics has become a very popular option in the past several years. 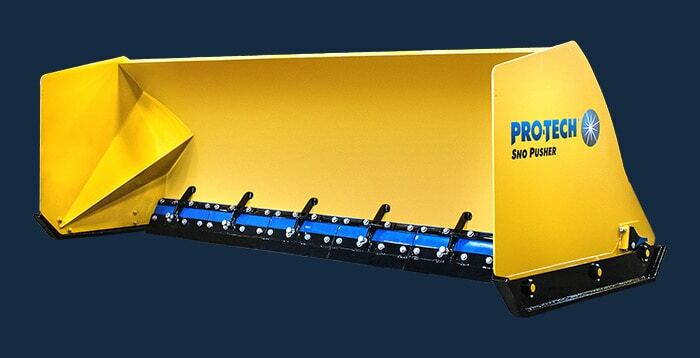 Hydraulic mounts do come standard on the Sno Pusher for mounting after purchase. 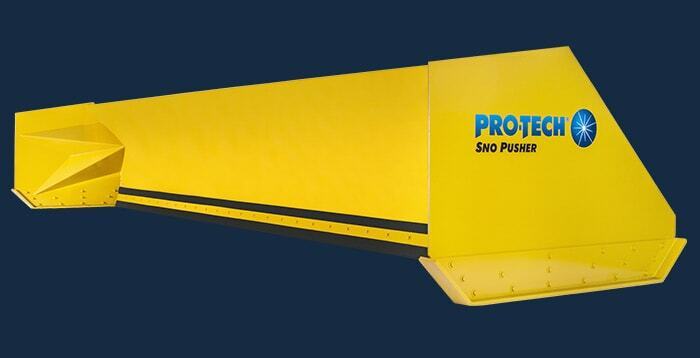 Pro-Tech does offer hydraulic installation options when first purchasing your Foldout Sno Pusher. It’s no surprise that our customer satisfaction rating is close to 100%. 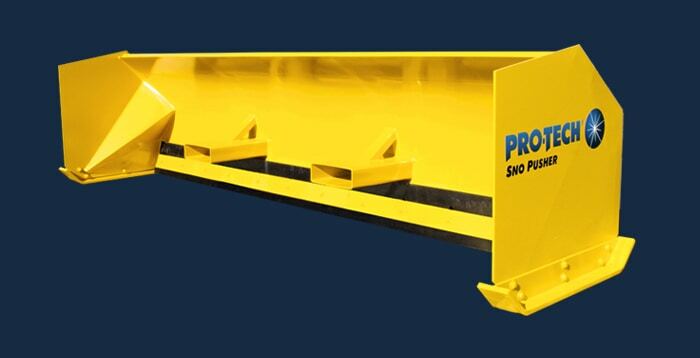 For over two decades our products have been synonymous with excellence. 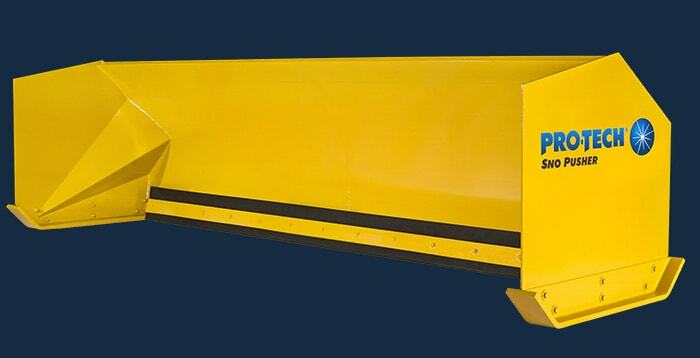 Every Sno Pusher is built using structural steel channel with fully welded systems. Many Sno Pushers are still in use 20 years later! 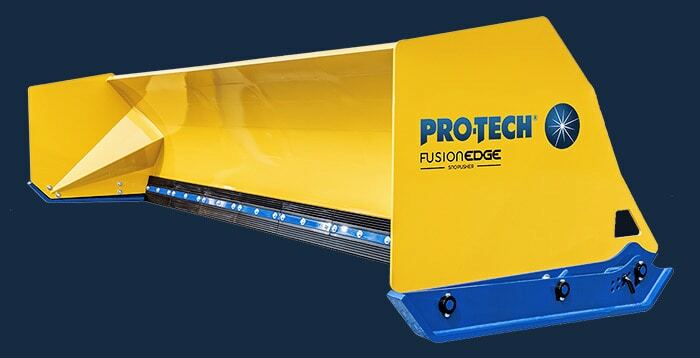 From our pushers to our parts, you can expect the best from Pro-Tech. "We are running a 12 and 14 foot Sno Pusher. Both on CAT 928's. They are awesome!" 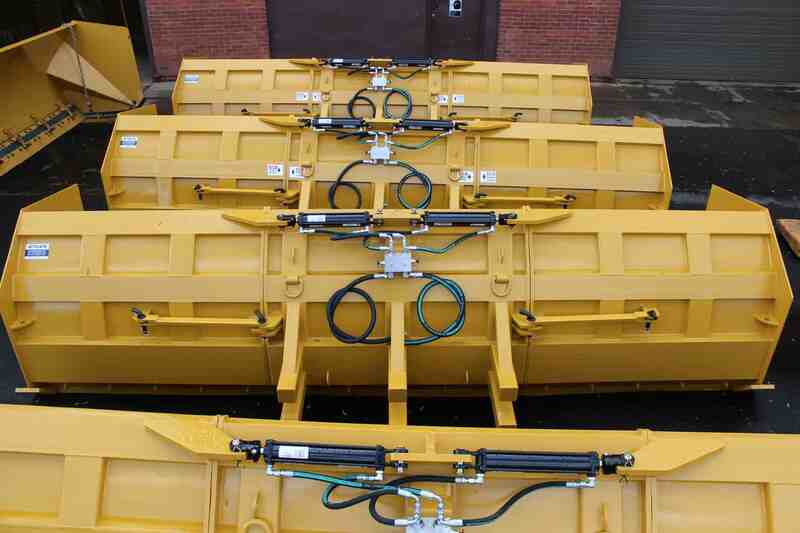 "If you’re not using Sno Pushers, you’re not serious about snow removal." 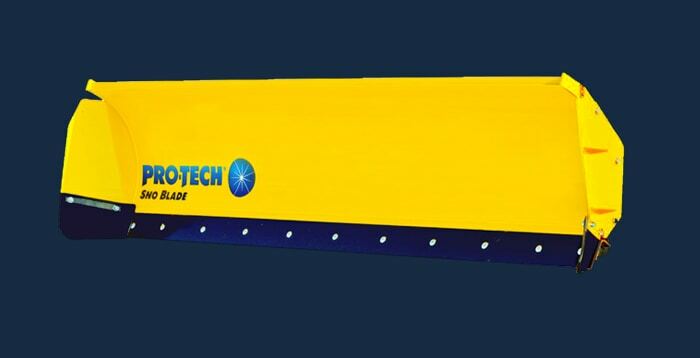 "Love Pro-Tech! With the pay loader it works great." 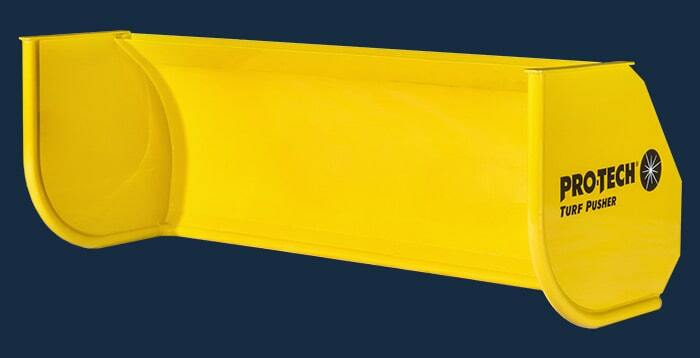 "Hey guys, just wanted to say thank you for making such great quality snow pushers! I run Pro-Tech and refuse to get anything else. You guys rock!" 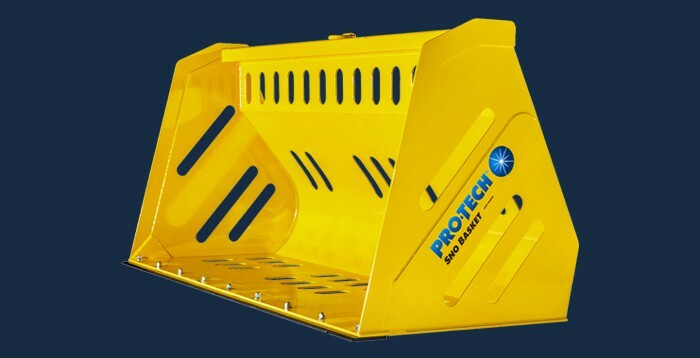 Having Trouble Removing Hard Pack Snow or Clearing those Hard to Reach Places? Here Are 3 Great Tools You Need to Consider.